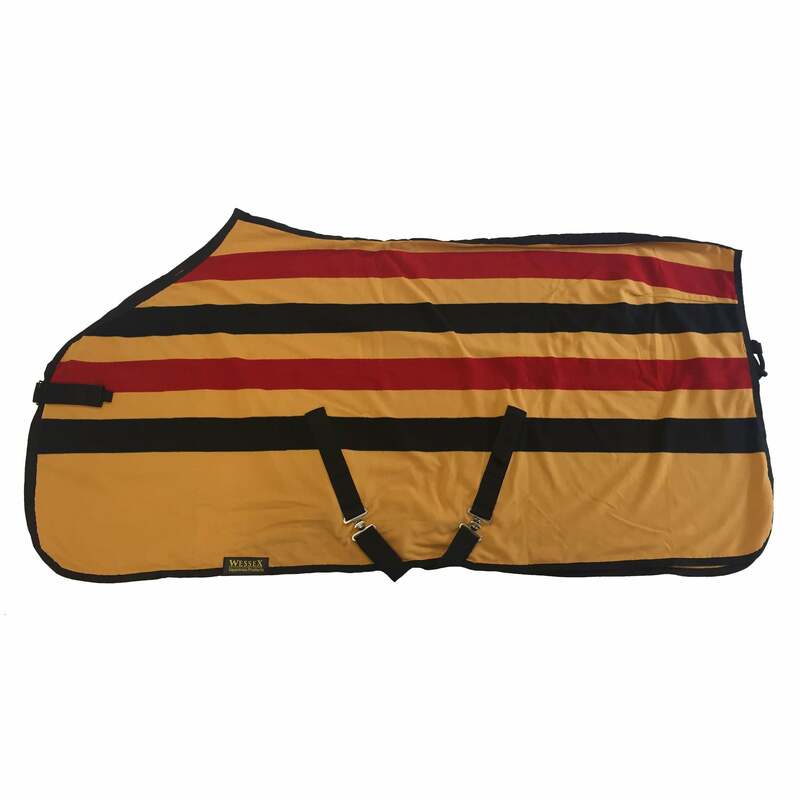 The Shires Wessex Newmarket Fleece Rug features a timeless Newmarket striped design on an easy-care fleece. This rug is perfect at shows, for cooling after exercise and when travelling. This quality polar fleece offers great thermal and wicking properties making it ideal for year-round use. Further benefits include a chest strap, adjustable cross surcingles, wither padding and a fillet string, with chest lining to prevent rubbing and rear darts for a contoured fit.